This year seems to have brought out some new trends in what I like to read. 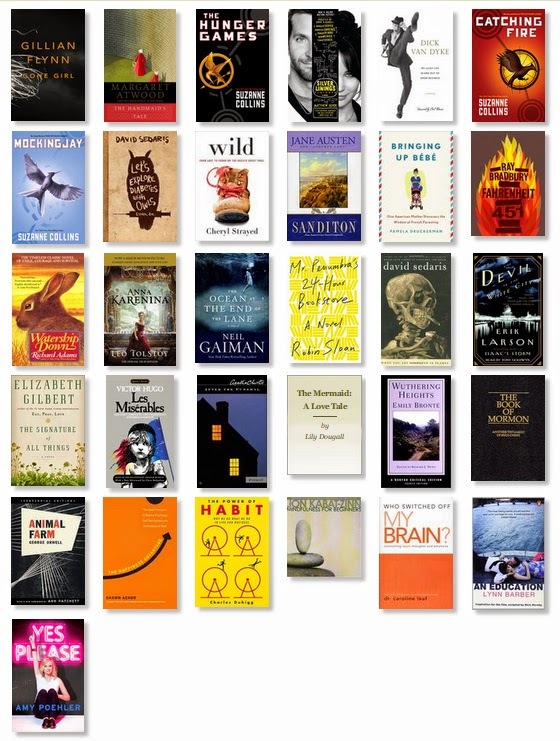 According to my ratings, I am less and less satisfied with modern novels and I favor classics and non-fiction. I've grown to really detest YA fiction, lol, to the extent that if something is even in that category it will make me not want to read it. I crave the depth of characters provided in classic fiction. It's funny to think I'm a classic book lover now when I think of what a drudgery I found reading them back in high school. I guess it shows I've grown or something :) I also have discovered I love autobiographies of people I admire, and I do love books that have interesting or strange perspectives (ahem, Neil Gaiman). Toward the end of the year, I started looking into non-fiction, particularly about general attitude improvement and brain function. I'm becoming pretty involved in the search for why we think and feel the way we do and what we can do about it (hopefully that makes sense) - I know it will be a subject that I can learn about throughout my life as there's no way to every know or understand the human mind. I'm happy with what I have learned in my reading thus far though. See what I mean? There is only one modern book on that list. I have turned into a literary snob, but there is no denying the superior quality of these stories that have stood the test of time, some of them for hundreds of years. The characters are so much more developed and real in these older books, and none of them are afraid to give you enough back story to understand them on a deeper level. I honestly look forward to the many books I have yet to read in my life. I'm up to 239 thus far that I can count - only 761 left to go to reach my life goal!